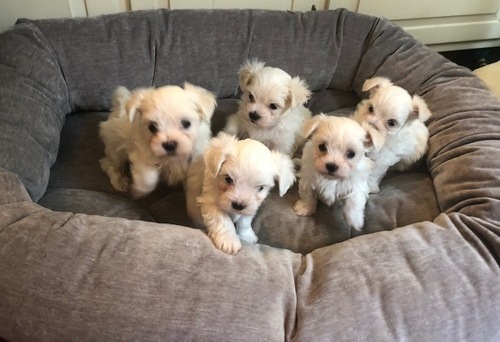 Our beautiful Maltese has had 6 lovely puppies-3 boys and 3 girls. She self welped without any trouble at all. Both parents are our family pets and they live together with us, so you can see them. Parents are small size. Mum has 3 kg and Dad has 3,5 kg. They have lovely temperament, love cuddles and play together. 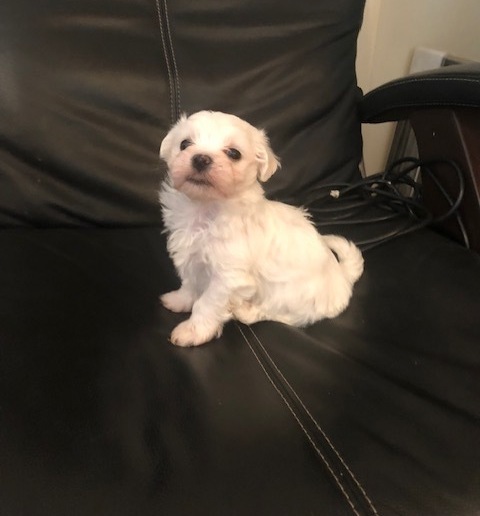 Dad is KC registered and his pedigree includes champions Mum is pure breed Maltese without KC.The parents are both 4 years old. 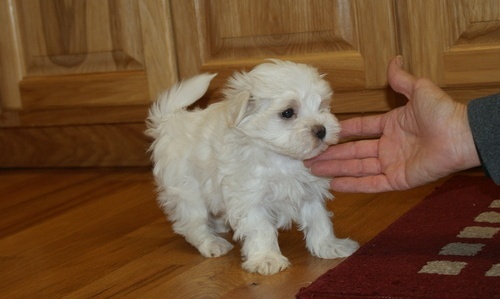 Puppies are KC registered, just pure breed home pets. The puppies are regularly dewormed, have 1st injection, microchip and flea prevented. We feed puppies with high quality dry food to give them the best possible start and provide a health growing up. I still have got plenty of dry puppy food so I will give it for a free as that's last puppy. 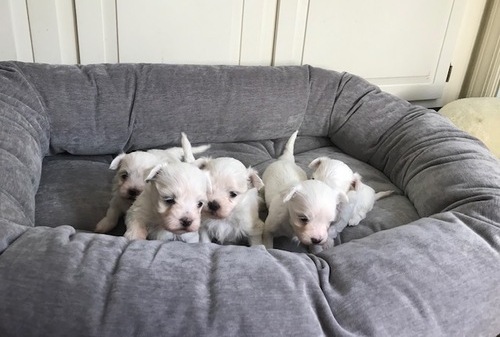 2 pups boys two girls available. They are fully vacinnated now and ready for for new home . I prefer emails due my work and I will try to respond asap. If u got any questions contact me. Adopting, or buying a new puppy or dog is an important decision and big responsibility. As an owner, you will solely responsible for the welfare of your new pet and will also be financially committed. Before you decide to buy or adopt you must ensure that you’re 100% committed beforehand. For further information on caring for puppies and dogs, please visit our pet advice section. 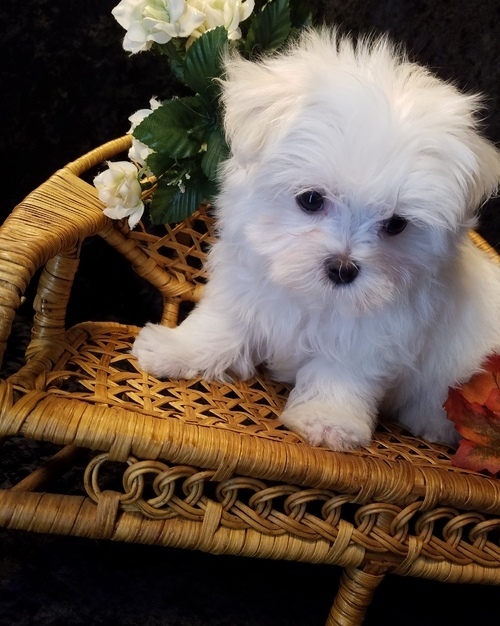 You can also find out more information about the Maltese breed by visiting the Maltese Dog Breed Information.